Our hearing ability has a great impact on our communication, from birth through adulthood. 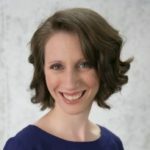 Yet, when I recommend hearing tests to current or potential clients, I am often met with the same response, “My child hears fine” or “I hear fine.” Although one’s hearing may appear “fine,” it is not guaranteed that the person can truly hear everything. What we hear is broken down into frequencies (pitch) and decibels (loudness). It is possible to experience hearing loss at certain frequencies rather than others. So even though you or your child may appear to hear everything, it is not necessarily the case. For children, hearing loss can lead to a variety of communication difficulties. For example, a child with hearing loss may experience difficulty formulating grammatically correct sentences. S/he may also have trouble developing an age-appropriate vocabulary. In addition, a child with hearing loss may mispronounce consonant and vowel sounds. Other difficulties may include: following directions, responding to questions, understanding class material, and socializing in large groups. For adults, hearing loss can also lead to communication difficulties. For example, speaking on the phone or in loud environments (e.g., restaurant) may be difficult. It also may be hard to fully understanding someone’s message. Hearing loss may impact an adult’s willingness to engage in group social situations. Because hearing loss has such a significant impact on our lives, it is crucial that all individuals get their hearing checked regularly. Usually when we think of a “hearing test” we envision the experience we had in the nurse’s office at school; however, this “test” is actually a hearing screening. A hearing screening is a quick test that determines if an individual requires a complete audiological evaluation (hearing test). 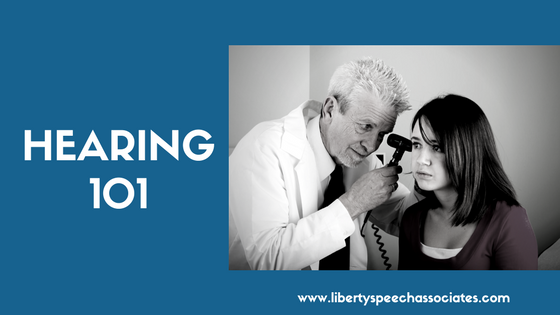 A hearing screening is on a pass/fail scoring system; if a person does not respond to a tone on the screening, s/he automatically fails and is referred for a complete evaluation. Hearing screenings are also done with newborns. A complete audiological evaluation is conducted in a soundproof booth and is done by an audiologist. If you or a loved one are having difficulty hearing or communicating, a hearing test is a must. Even if you don’t have specific hearing or communication concerns, regular hearing tests are strongly recommended. Refer to American Speech-Language-Hearing-Association website for guidelines on when and how often to have your/your child’s hearing tested.